Oh man I haven’t done a “goals for the week post in a long time! feels like it’s time to get back on the wagon. I haven’t taken myself seriously as an athlete, I tell everyone I am slow and not that impressive. But if I want to be faster and reach my big goals I better start believing that I AM an athlete and treating myself as such. So my first goal is not really a measurable one (totally breaking the rules of setting goals but whatever). Follow my workout plan for the rest of the week, no excuses. ** Also 30 mins every night of my PT exercises, I am getting stronger! 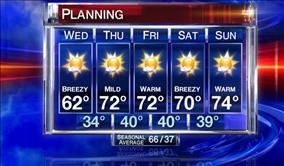 The weather looks like it will cooperate just fine for this plan check it out! I hate tracking my calories but I haven’t done it in a long time and it’s time to get back to it. I have one last parting message for myself and all of you out there. 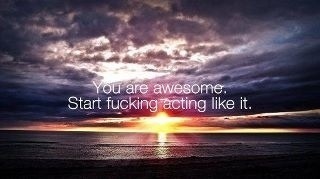 Sorry for the f-bomb but believe it! Okay, I love the poster! That is awesome!